The pull of the land. For Blythe and Scott Woods it was really strong. Their farm dates back to 1895. After many years away, they returned last year to honor their family’s legacy and carry on the farming tradition. Some things have changed since Maggie’s day. 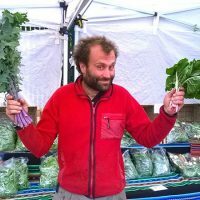 Community supported agriculture was a way of life back then, and common sense was, well, pretty common. So how do those who have strayed far from, or never even had, agrarian roots, get back to farming? Blythe and Scott used SPIN-Farming. 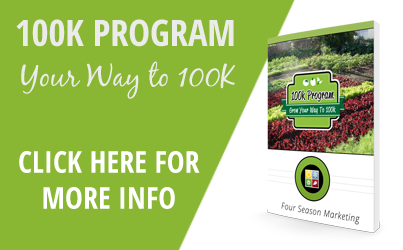 It’s a system that outlines step-by-step how to launch a garden-size business that generates farm-size income. Starting small, and investing in a walk-in cooler has been key to Blythe and Scott’s first year progress. Their plots total 13,000 sq. ft. and, like most SPIN farmers, they are growing both common and niche crops. 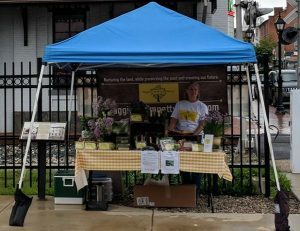 Their crop repertoire this year included 15 different vegetables which they test marketed at the Adam’s County Farmers Market. Their top sellers- lettuce, herbs, onions and tomatoes. Their big loser – watermelon. Their big unknown – loofa. 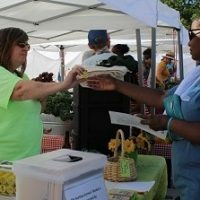 Next year they’ll be extending the season with a high tunnel, setting up an onsite farm stand, extending the season with a high tunnel and expanding the flower beds and pollinator section. With farming there is always something new to look forward to, and it’s easy to get overwhelmed. Blythe’s mantra is: “Do what you can, with what you have, right now.” Common sense, don’t you think? 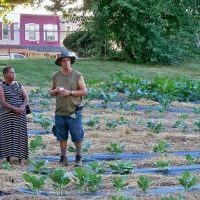 Learn from the best minds in backyard farming, like Scott and Blythe Woods, who are nurturing the land, preserving the past and creating the future, by purchasing our learning programs on turning small plots into cash. 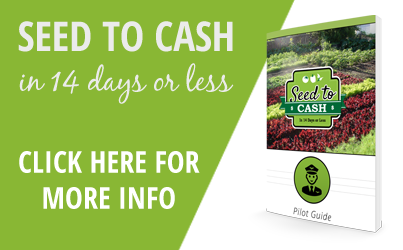 If you’re not ready to go all-in just yet, get a taste of what starting a backyard-scale farming business is like from our members with a month-to-month membership here.